Softroom Architects were asked to design the third venue for the award-winning Wahaca restaurant, located in a very competitive part of London, combining the essential character of Mexico’s street markets with an honest and natural approach to materials. 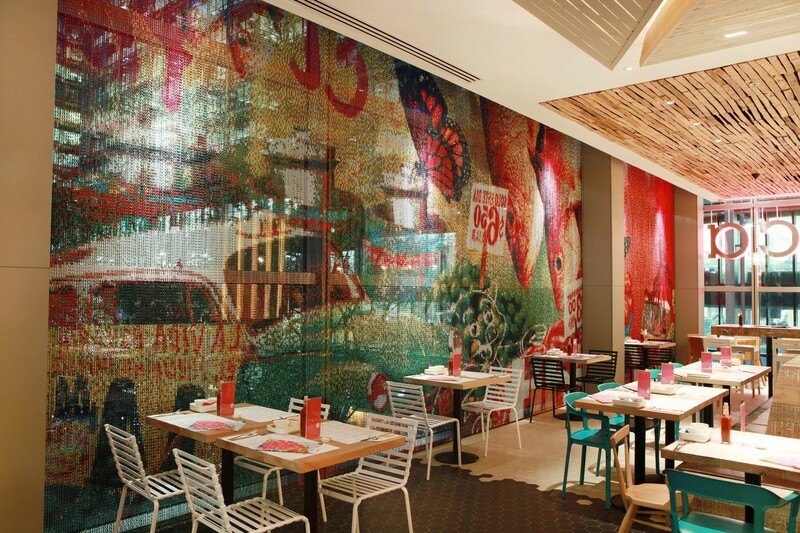 Many richly textured materials were layered in to the project, including a striking graphic Kriskadecor chain curtain installation, with an astonishing pattern by BuroCreative and artwork made by street artists Nigel Dunkley and Lachlan Thom. 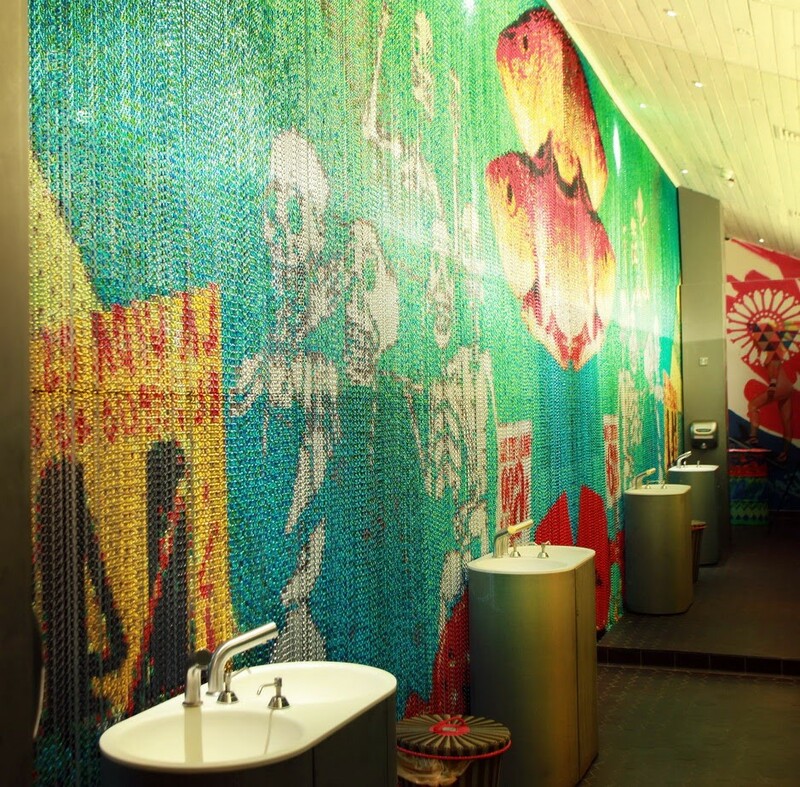 Working closely with Softroom, BuroCreative designed two 15m chain curtains made up of over 400,000 individual pre-coloured links from a palette of 16 colours. This creates a canvas which allow diners to see outside but, when viewed from a distance, reveals two spectacular “fantasy market” scenes.